Bringing unique designs to the world is what Louis Vuitton does. And Objets Nomades is no different. The collection features stylish, travel-inspired objects crafted by revered design stars ranging from the likes of the Campana Brothers to Hong Kong’s own Andre Fu, who combine their talents with the unparalleled savoir fair of Louis Vuitton to create pieces characterised by complex craftsmanship and innovative design. This year, Objets Nomades returns to Hong Kong for the second year, but this time the exhibition will be on display at the former Central Magistracy, marking the historic building’s first public opening. The revitalised structure, part of Tai Kwun, dates to 1914 and, complete with evocative colonial architecture, is one of the most historically significant buildings on the site. 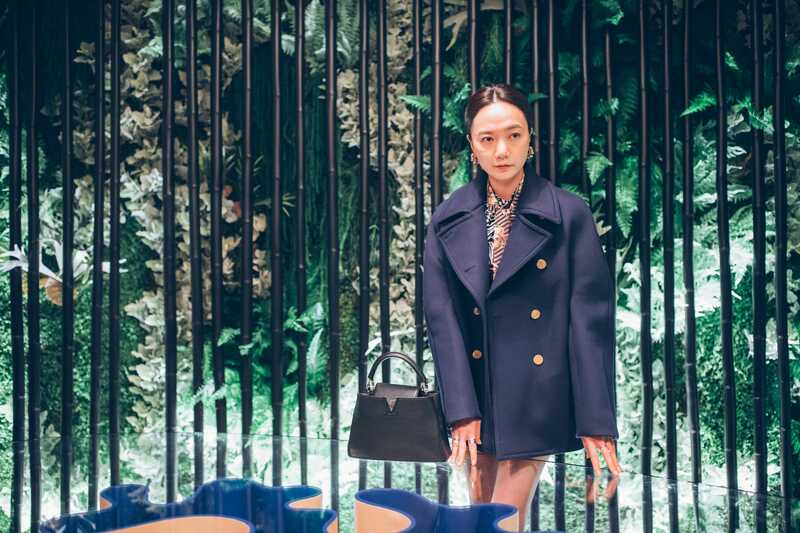 It will be further enhanced by acclaimed Hong Kong designer Joyce Wang, who is behind the avant-garde interior scenography that frames the travelling collection. This edition of Objets Nomades welcomes new pieces, including award-winning design duo Raw Edges’ DOLLS playful chairs, on display for the first time internationally. 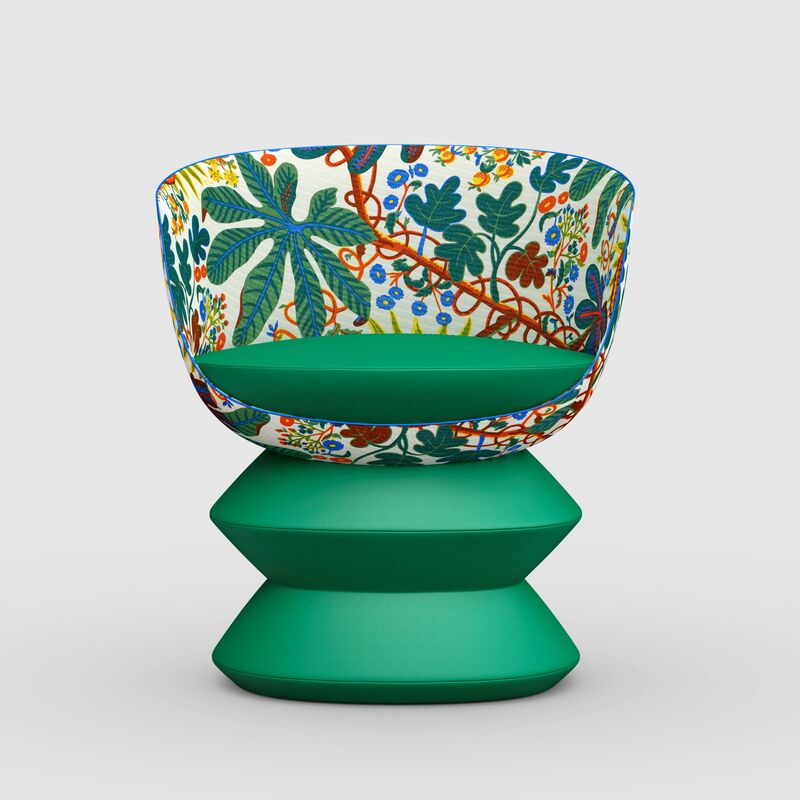 London-based creatives Yael Mer and Shay Alkalay are behind this wildly dressed family of collapsible chairs, each featuring a range of fun fabrics and whimsical elements. “Inspired by culture and folk craft, the chairs can be configured with a subtle human touch; the way we dress them gives each chair its unique context,” says Raw Edges. Each piece can be customised to make it as unique as its owner, in the tradition of Louis Vuitton’s famed trunks, which the Maison has been personalising for more than 160 years. 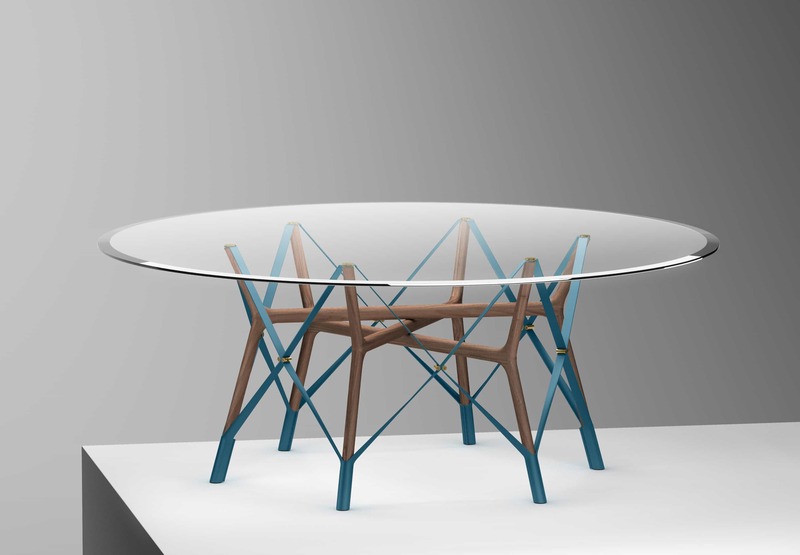 Aurel Aebi, Armand Louis and Patrick Raymond are the design minds behind Swiss brand Atelier Oï and its new Serpentine Table. Influenced in its design by the free-flowing movements of traditional dance, there is nevertheless a pleasing balance of weight and tension. American walnut legs are held together by finely worked straps made using blue Louis Vuitton leather, yet are foldable for easy storage. 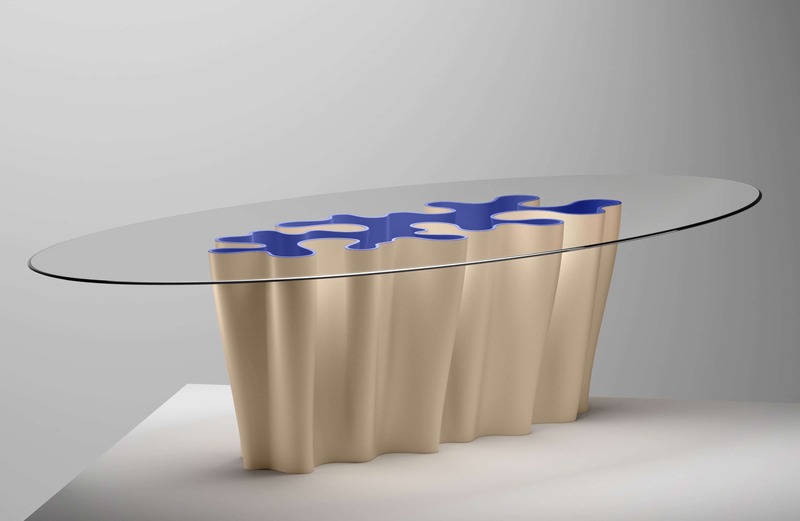 The final new addition to Objets Nomades saw designer Alberto Biagetti and artist Laura Baldassari of Atelier Biagetti fashion the fabulous Anemona table, the undulating base of which is covered with rich natural tan-coloured Louis Vuitton leather on the outside and a contrasting deep blue hue on the inside. 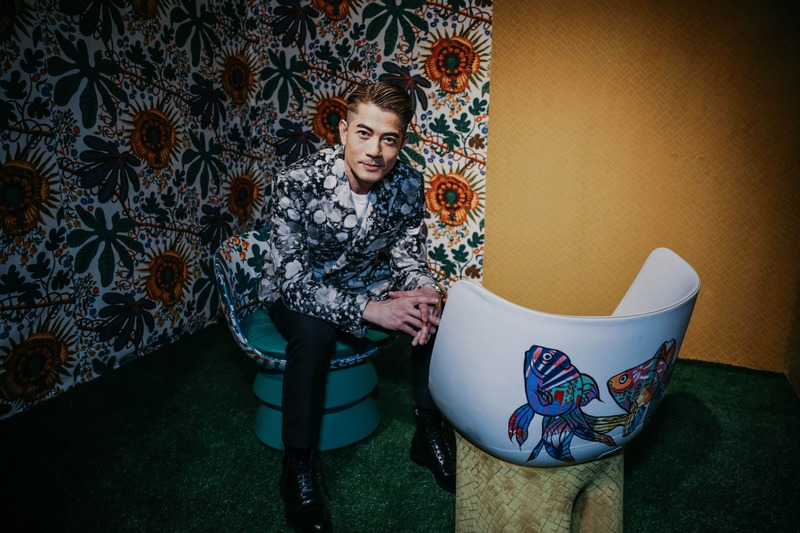 Louis Vuitton Objets Nomades, Hong Kong runs from 23 to 31 March (10am-11pm Friday and Saturday; 10am-9pm Sunday through Thursday) at Tai Kwun, Block 9, Central Magistracy, 10 Hollywood Road, Central. Visit hk.louisvuitton.com from March 16th 2019 to register for admission. Guided tours will be offered. Complimentary downloads of the Louis Vuitton Hong Kong City Guide will also be available from March 15th to April 1st 2019.